Is The Boardman Full Suspension Mountain Bike Pro That Professional? 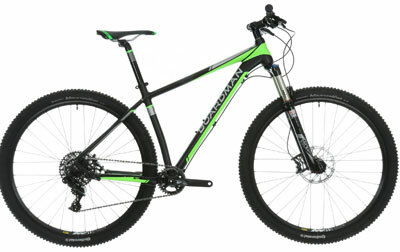 Boardman has a pretty good reputation when it comes to well made bikes, and the “professional” Boardman Full Suspension Mountain Bike Pro should rank among their best. There is the promise that this bike is perfect for “aggressive trail riding”. 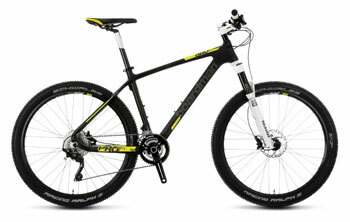 Therefore, there are sure to be some high expectations over the quality and components within this mtb. It is also a good looking model with the blue and green frame. Does it tick all the right boxes when riders test it out? Does The Boardman Mountain Bike Pro 29er Turn Heads For The Right Reasons? The Boardman Mountain Bike Pro 29er is a fairly new model on the market but that hasn’t stopped MBR from calling it a definite contender for their favourite hardtail. The Boardman bike has apparently been thoroughly tested to ensure that it can meet buyers needs and has plenty of top features in its specification like the Superlight X9 triple butted alloy frame, FSA Comet 368 39/27t chainset and ultra-light E4P SL finishing kit. Boardman promise it will “turn heads for its performance, spec and looks” but is this really the case? 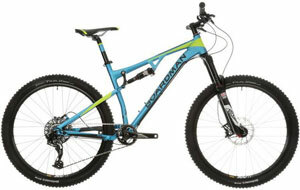 Is The Award-Winning Boardman Mountain Bike Pro Really A Worthy Addition To The Boardman Range? This model had been awarded ‘Value Bike of the Year‘ and ‘Best in Class‘ by ‘What Mountain Bike’ for its low price and great features list. It includes 2.2” Continental Mountain King tyres, 20 gears, a BB30 chainset, 120mm RockShox Reba SL suspension forks, a lightweight X9 triple butted aluminium frame and powerful hydraulic brakes.